We just recently upgraded Sites at Penn State to WordPress 4.0, codenamed “Benny” after jazz musician Benny Goodman. Here’s a quick rundown of some of the new features. 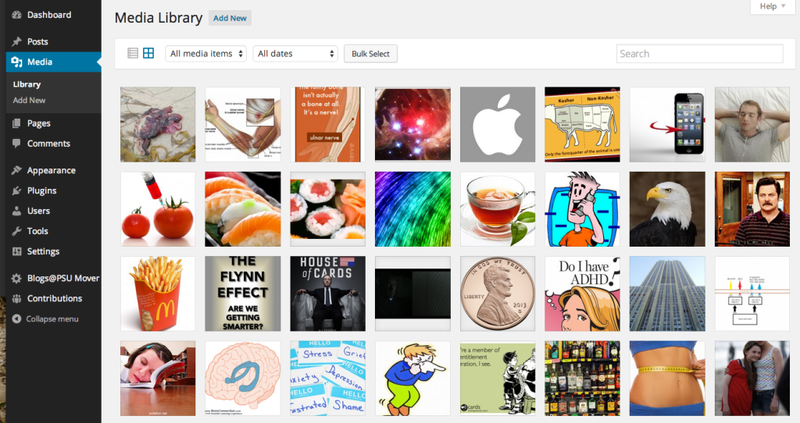 Manage your media items in a beautiful endless grid. Paste the URL of a video, tweet, or other supported embed URL and it magically becomes an embedded preview in the post visual editor. WordPress 4.0 adds support for the Animoto, YouTube playlists, TED Talks, Issuu, CollegeHumor, and Mixcloud. 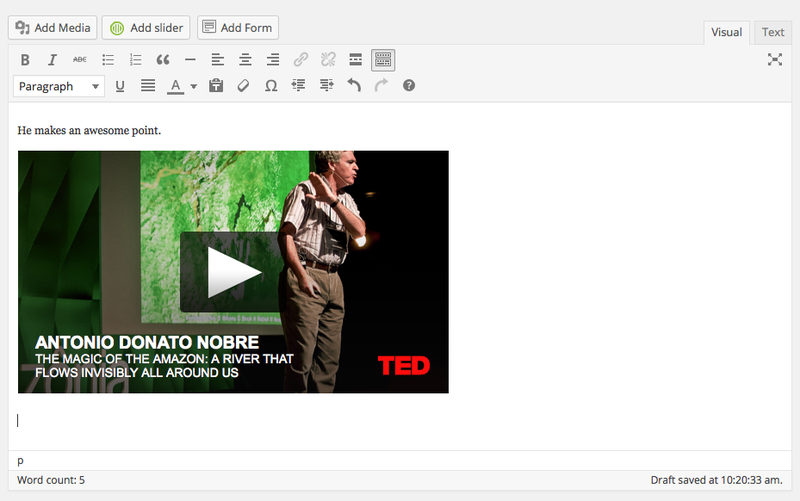 The editor now expands to fit your content as you write, and keeps the formatting tools available at all times.